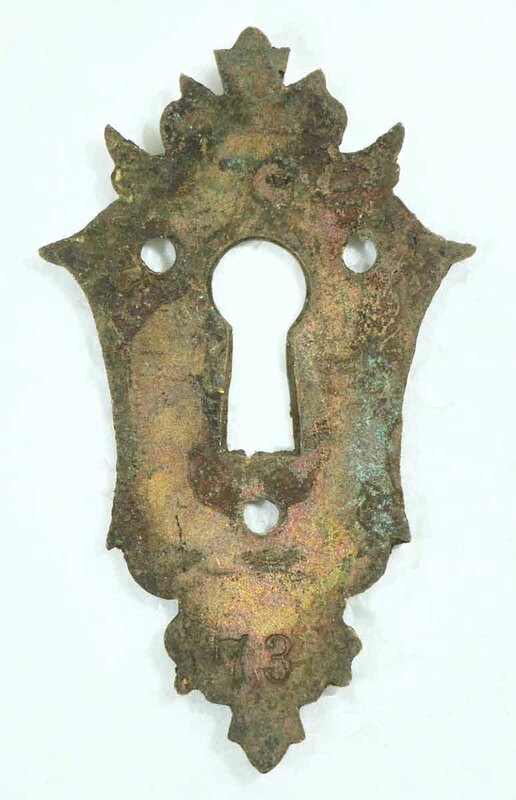 Circa late 1800’s with the original patina. 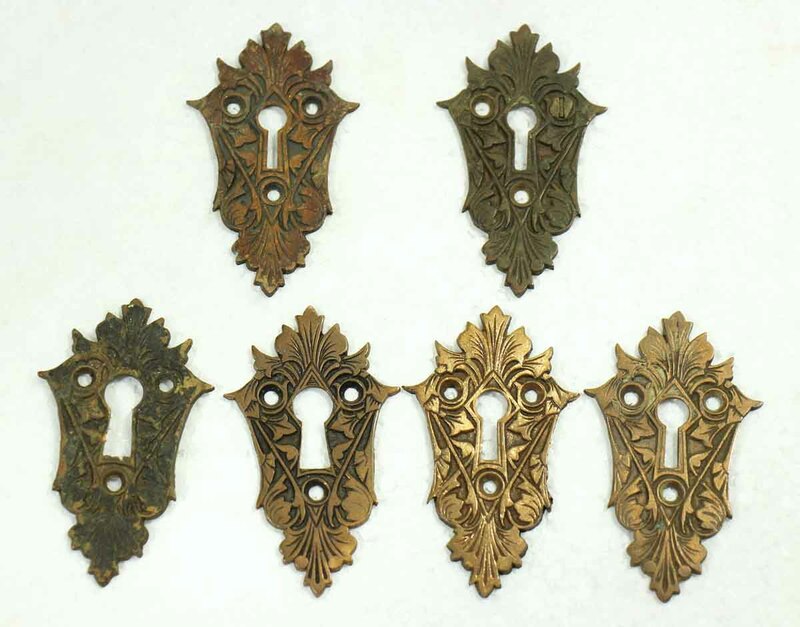 These highly ornate unique shaped key escutcheons. 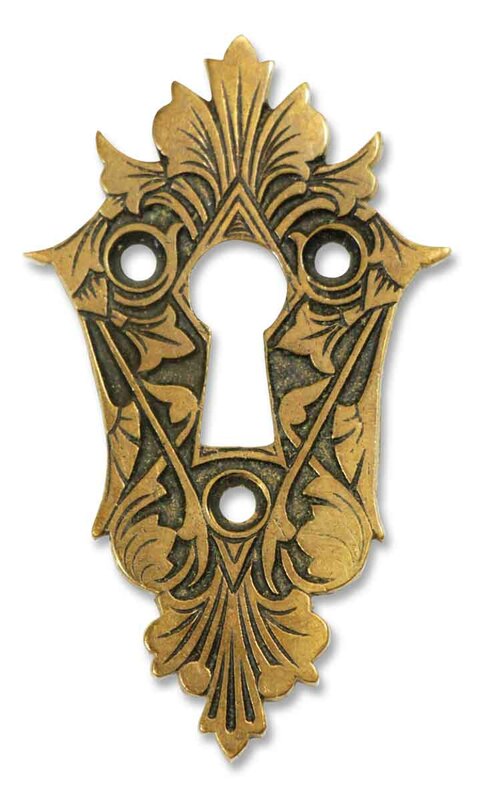 They are used to accent the key hole on Victorian homes. Priced each.